News came late this evening that actress Ann Rutherford has passed away at the age of 91. Born in Canada in 1920, Rutherford got her start in Hollywood as a teenager, acting in weekly serials. She made her feature-length screen debut in 1935 in Waterfront Lady. In the early years of her career, the young starlet appeared with some of the biggest names in the business–John Wayne (The Oregon Trail, The Lonely Trail, and The Lawless Nineties, both 1936), Joan Crawford (The Bride Wore Red, 1937), and Jimmy Stewart (Of Human Hearts, 1938) among them. She also appeared as the Ghost of Christmas Past in the popular 1938 version of A Christmas Carol, opposite Reginald Owen. Rutherford was cast as Andy Hardy’s longtime on-and-off girlfriend, Polly Benedict, in the second film of that long-running series, You’re Only Young Once, in 1937. Polly’s destiny in these films was to essentially sit by and watch as Mickey Rooney’s Andy worked his way through a veritable stable of MGM starlets (Judy Garland, Esther Williams, Lana Turner, Donna Reed …) before inevitably coming back to her in the end. Rutherford would go on to play the part in eleven other Andy Hardy movies, culminating in her final appearance in the series in Andy Hardy’s Double Life in 1942. In 1939, Rutherford was cast in the role for which she is arguably best remembered today, as Scarlett O’Hara’s youngest sister, Carreen, in 1939’s Gone With the Wind. As gentle Carreen, Rutherford does not get a lot of screen time–a fact that was pointed out to the actress by her boss, Louis B. Mayer, who was reluctant to loan her to GWTW producer (and his son-in-law at the time) David O. Selznick for the film. But the young actress, who loved the novel, persisted and was allowed to take the role after she “burst out crying” in Mayer’s office. Despite the limitations of the relatively minor role, Rutherford does a lovely job in the film, bringing a sweet girlishness to the role of Carreen (contrasting nicely with Evelyn Keyes’ bratty Suellen) which makes the character’s relative naivete appealing rather than cloying. 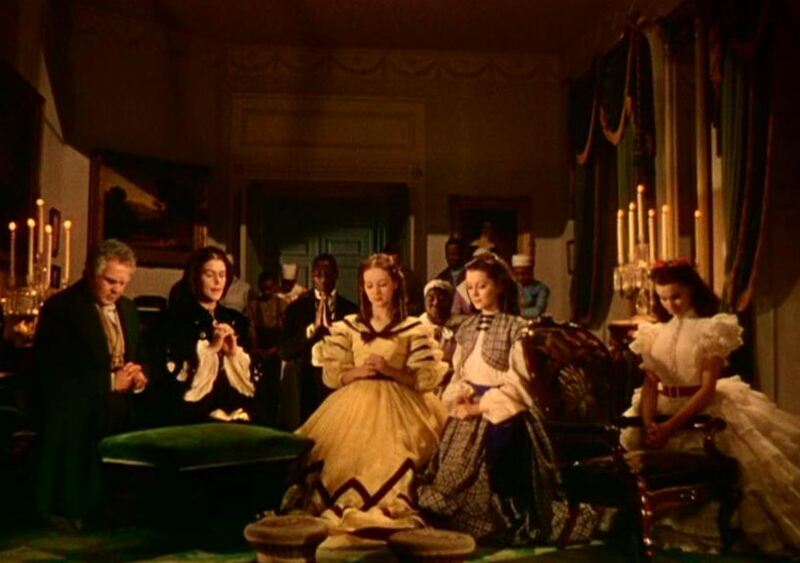 In her later years, Rutherford was a true champion for Gone With the Wind, promoting it to new audiences and appearing at GWTW-related events and screenings with other surviving cast members to discuss the making of the classic epic. 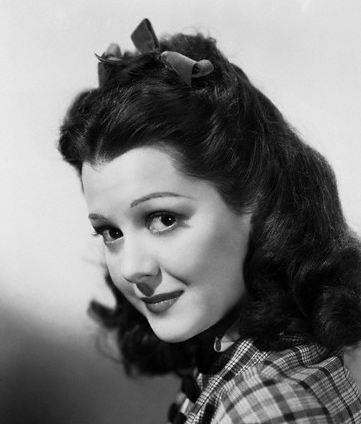 After her success in Gone With the Wind, Rutherford starred in a number of films throughout the following decade, including 1940’s Pride and Prejudice (in which she plays the insufferable Lydia), Orchestra Wives (1942), The Secret Life of Walter Mitty (1947), and Adventures of Don Juan (1948, opposite Errol Flynn). By the end of the decade, she had effectively retired from the silver screen, though she would appear in a couple of films in the 1970s and in sporadic roles on television, including a short stint on The Bob Newhart Show as Bob’s mother-in-law. Still, even though she quit acting for good in 1976, Rutherford was far from forgotten–director James Cameron approached her to come out of retirement to play the role of the elderly Rose in 1997’s Titanic. Rutherford, however, ultimately turned down the role (which then went to fellow 30s star Gloria Stuart). A wonderfully talented actress with a warm and sparkling screen presence, Ann Rutherford will most certainly be missed. Thanks for the post. I remembered so few of her movies. Thanks for reminding us all of her great career. I’m bummed to hear about Ann Rutherford’s passing! At least she lived a long, amazing life, bless her. I enjoyed so many of her films, especially THE SECRET LIFE OF WALTER MITTY, TWO O’CLOCK COURAGE, GONE WITH THE WIND, THEY ONLY KILL THEIR MASTERS, and so much more! R.I.P., Ann, and thanks for the joy you brought into the lives of us classic movie fans! This is a nice tribute to a great talent. What a wonderful way to remember her. I wasn’t aware that she turned down the role in Titanic. Thanks for this great tribute!